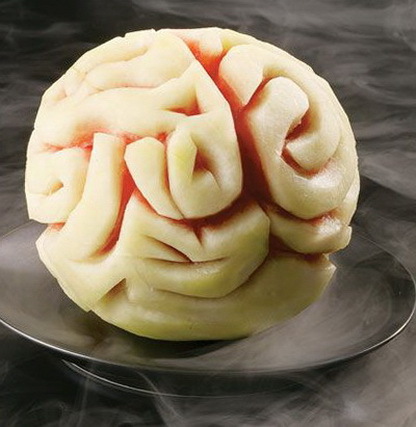 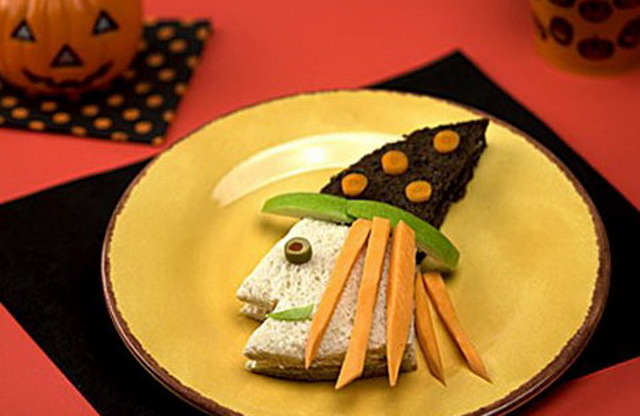 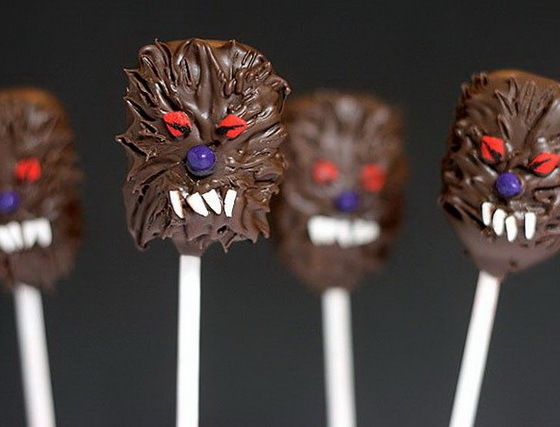 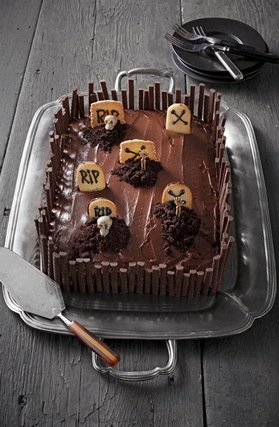 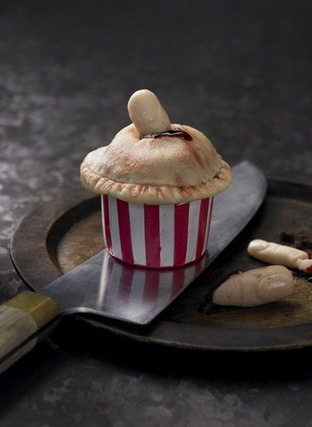 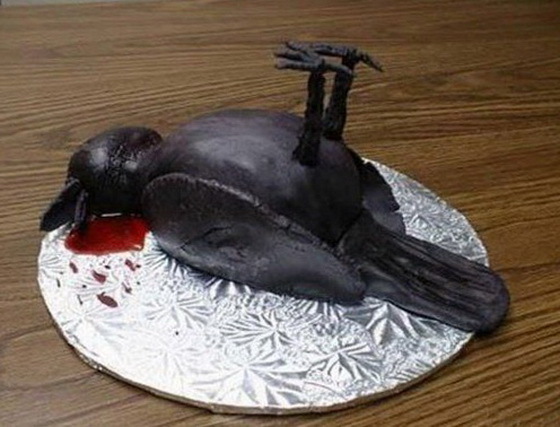 On Halloween standard dishes are not suitable for dinner only blood meal, the most terrible and unappetizing. 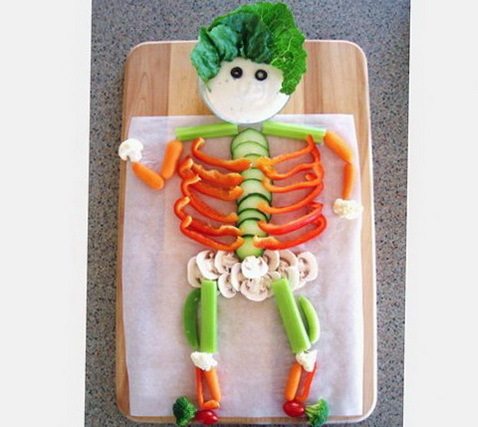 Imagine that on your desk will be bloody body parts, eyes, teeth. 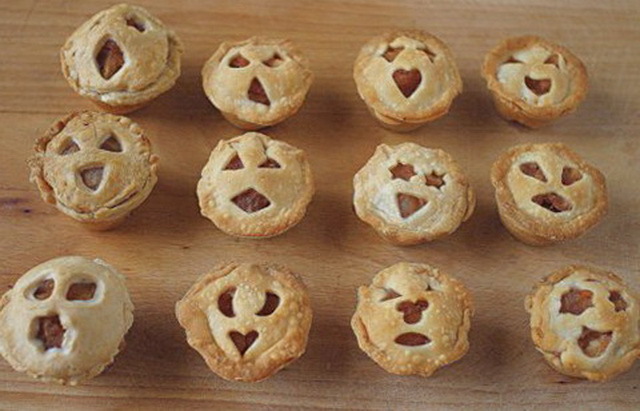 This kitchen will be relevant only once a year, and what is worse and more terrible than your kitchen, the better and more interesting for your guests and friends. 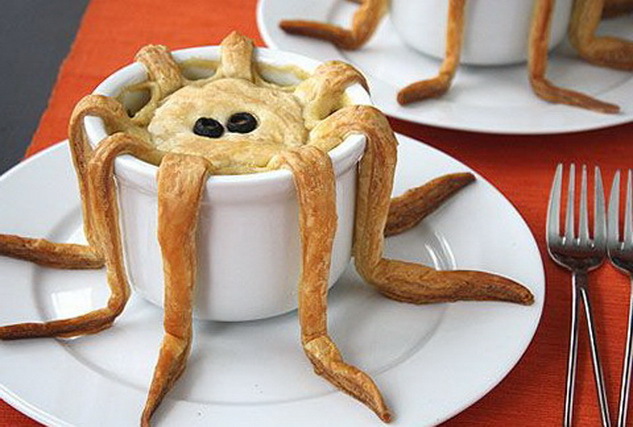 We made a selection of interesting dishes that not only look awful, but there are also very cute. 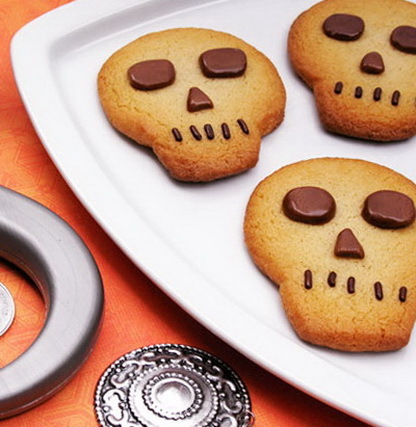 Cookies made ​​in the form of skulls, eyes, nose and mouth can make the cream gently with a pencil and make a chocolate or fudge. 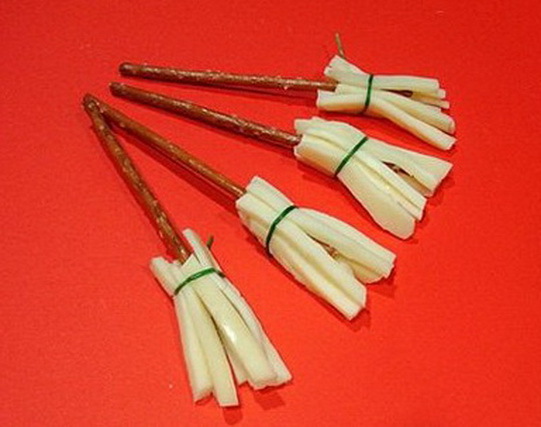 Witches whisk can make savory sticks and cheese, fixing greens, a nice snack with beer. 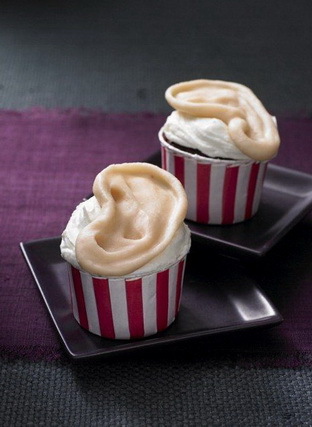 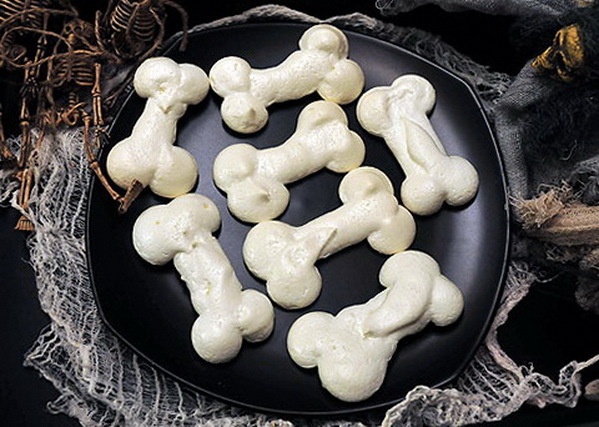 Cookies can also be done in the form of a beautiful little bone, or make a meringue of whipped egg whites. 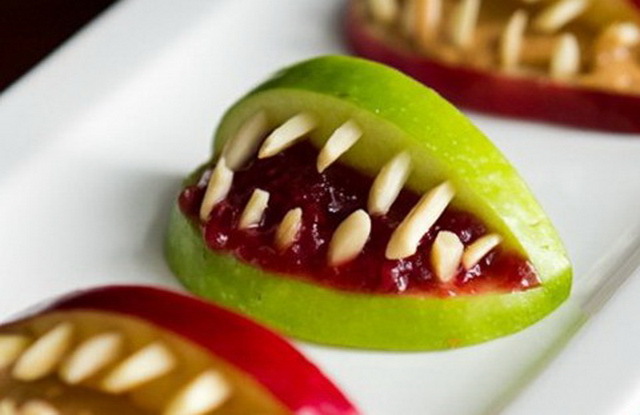 The mouth can be made from slices of apples, the main carefully cut teeth, which can be lubricated peanut butter, to create a sense of plaque on the teeth. 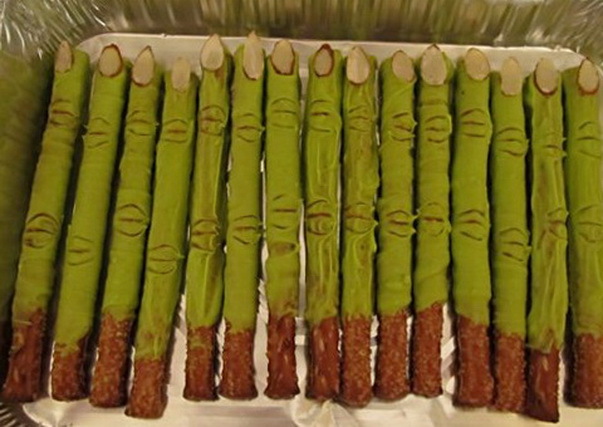 Fingers can be made from dough that resemble witches pretzels, fingers can be painted in bright greens, marigolds can be made from almond halves. 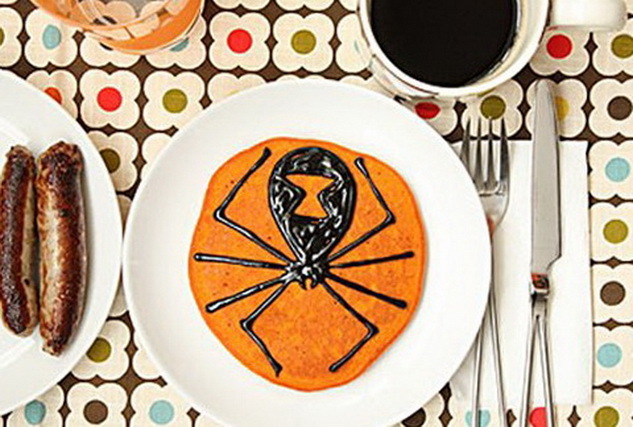 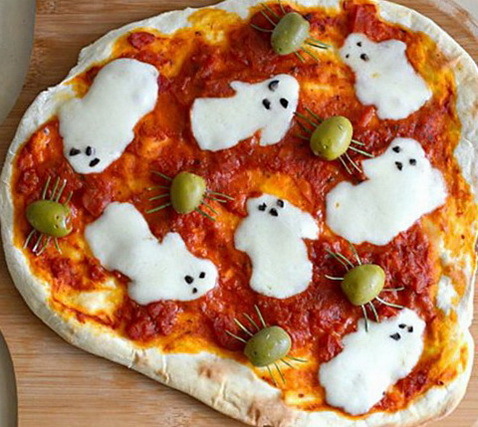 Even a simple pizza can be festive, and done in the style of Halloween. 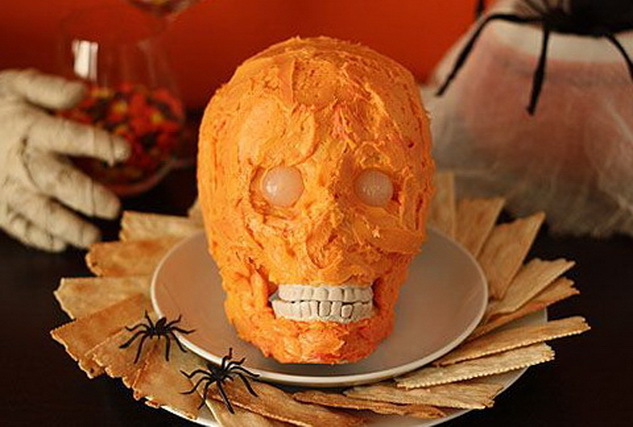 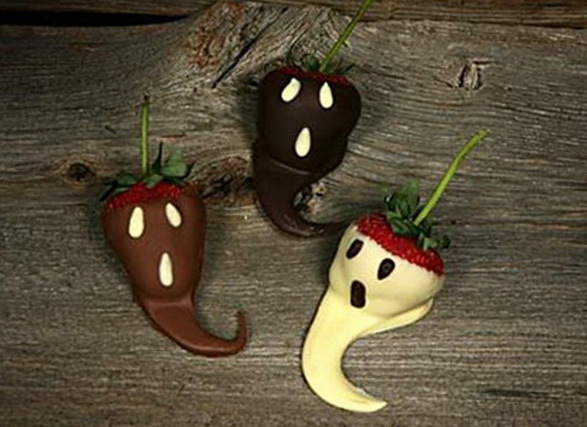 Cheese can be made in the form of ghosts and decorate with small pieces of olives. 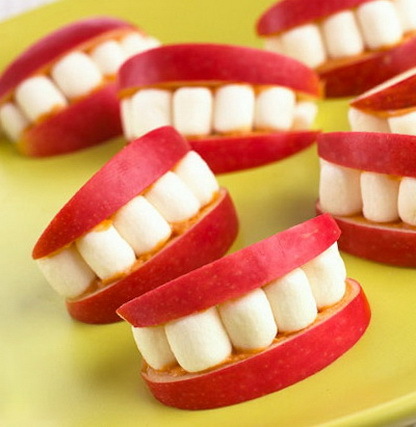 The mouth can be made from apples, peanut halves of the teeth, mouth on the bed can be made of cherry jam. 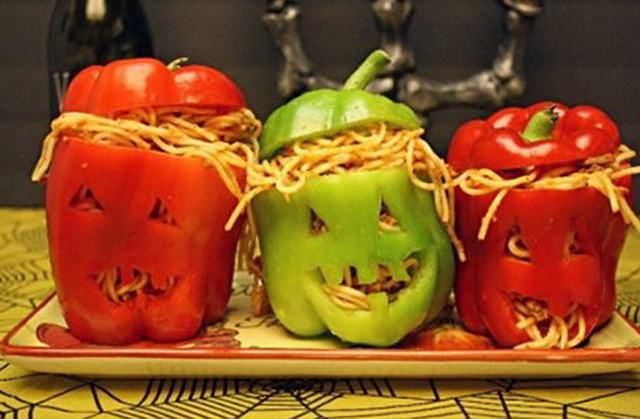 Peppers can be done in the form of smileys and fill with their pasts, or simple pasta that will remind worms. 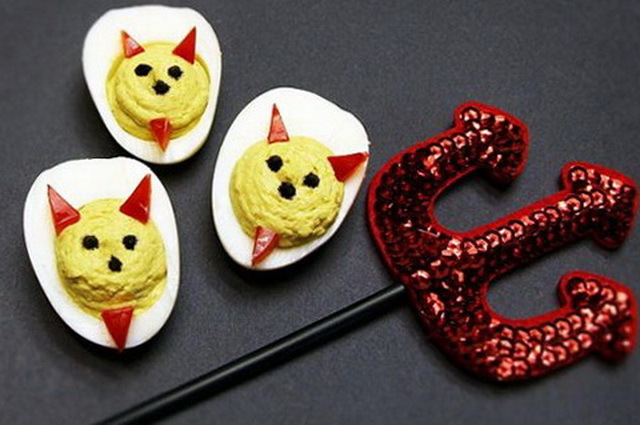 Stuffed eggs as smileys little devil, the filling may be a mushroom and fish as you like. 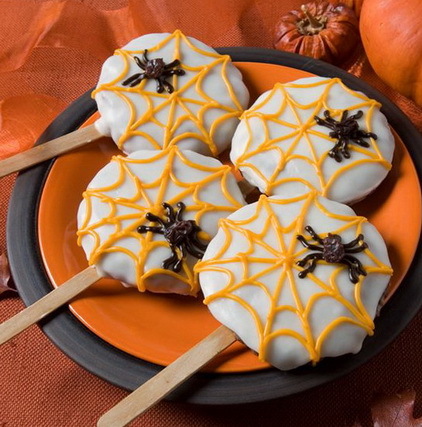 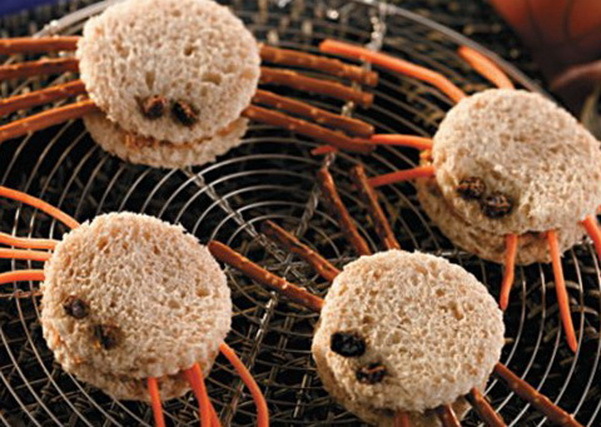 Cookies in the form of spiders sure everybody’s taste, legs can be made from salted sticks.